Bright, fun accent pieces are a great way to add to your home decor. Make them yourself with colors to match your style, and they really add a personal touch. 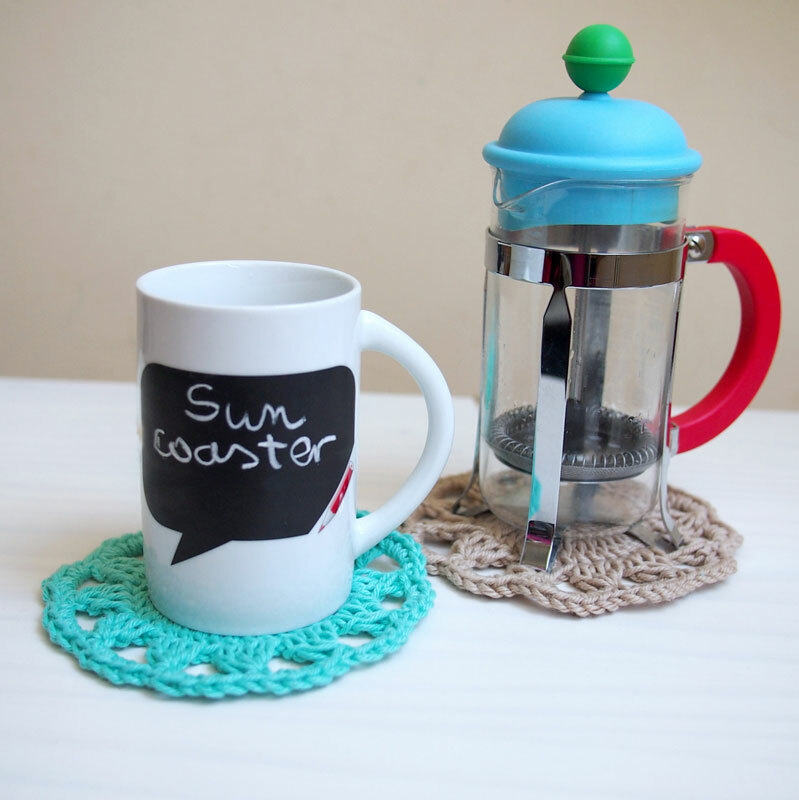 Which is just one of the many reasons I love this cute free coaster crochet pattern. 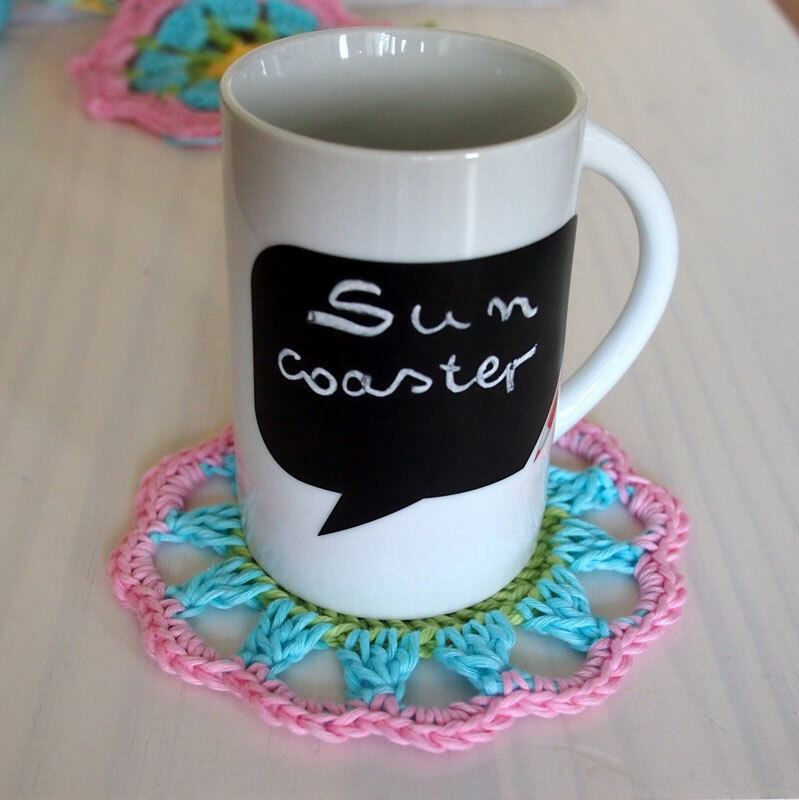 These bright and colorful coasters will add a fun, summery vibe to any table! 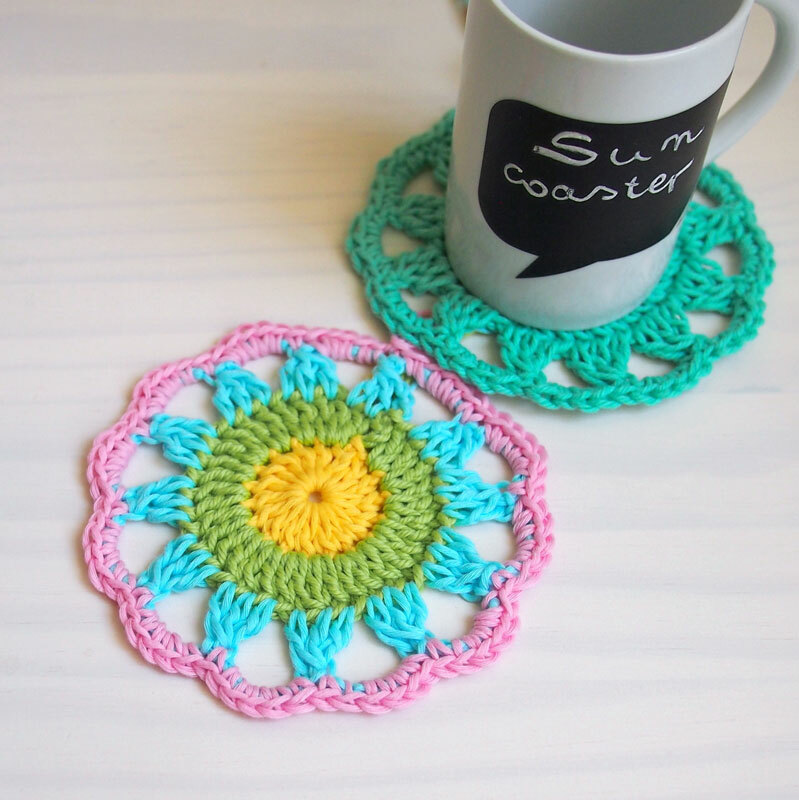 Thank you to Ana Dyakova of Accessorise for contributing this adorable free crochet coaster pattern as part of my Guest Contributor Program! Ana learned from her mom and granny how to crochet, knit, sew, cross stitch in her childhood. In 2011 she started her etsy shop to share her mom’s knit and her crochet. 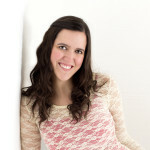 Then some clients asked her to share her crochet patterns and in 2012 she started publishing them. Last year she was invited to become a Design Wars Alumni and she realized that she had second profession – that of a crochet designer. 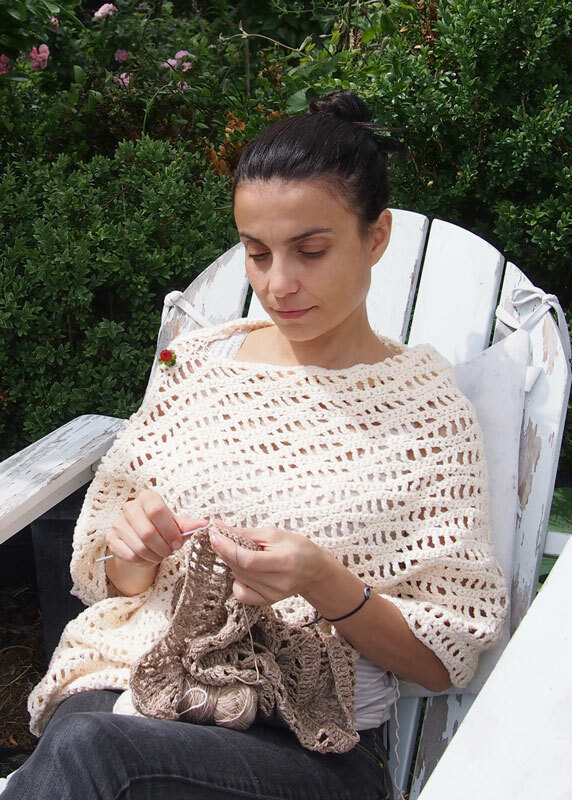 When not crocheting, she loves spending time with her family and friends, travel and reading books. Find her on Etsy by clicking here. Find her on Craftsy by clicking here. I have done everything, followed the instructions and I still cannot open the pattern – I get it to the ‘download” and it will not open, doesn’t matter what I do. Is there any way you could email the pattern maybe? The problem may be with my PC. Love your blog and all of your patterns. The download doesn’t show a picture of the coaster. I am very visual. Is there another way to download WITH pictures? I cant open the pattern, there should another way for the pattern to be available for all of us to receive, thank you for hopefully you checking into this for all of us who cant download the pattern. Hi i did what you asked to share and hit like on facebook then i could download the sun coaster free pattern well i downloaded it twice and both times it says i cant open that file, why?? Maybe can you email me that pattern my email address is wolflvr30@hotmail.com thank you very much. Apparently this has not been corrected. I followed instructions more than once and still did not get the Sun Coaster. Sorry it didn’t come through the way it was supposed to! If you email me at melody@melodys-makings.com I’ll happily reply with the pattern attached.